Kakigori cafe all year around. It’s still hot in the daytime. So, some popular kakigori shops have much people waiting in line even on weekdays. Here, Himitsu-do, we had to wait for about 40 minutes to take the seats. On entering the shop, we can see kitchen and counter table on the left. 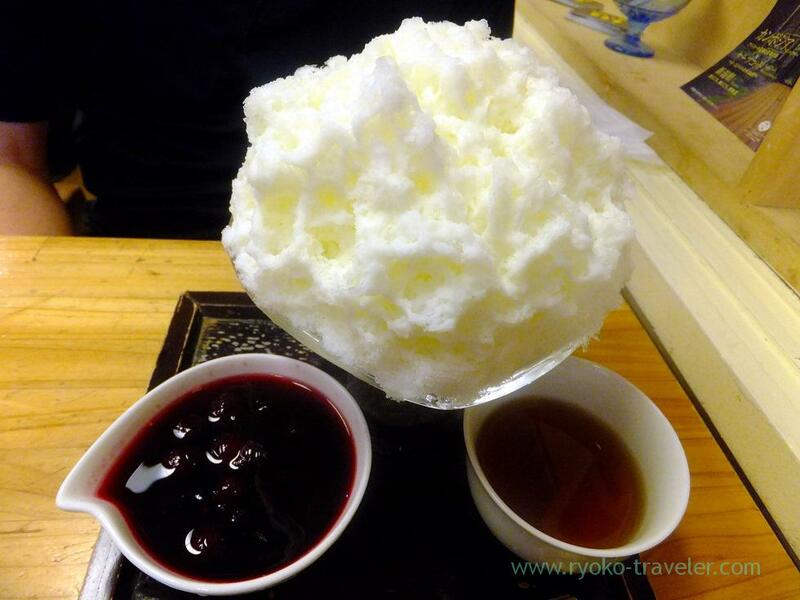 They serve kakigori with handmade fruits syrups that contain lots of seasonal fruits.Everyone come to here to eat it. And the ice is natural ice. They serve kakigori all year around. 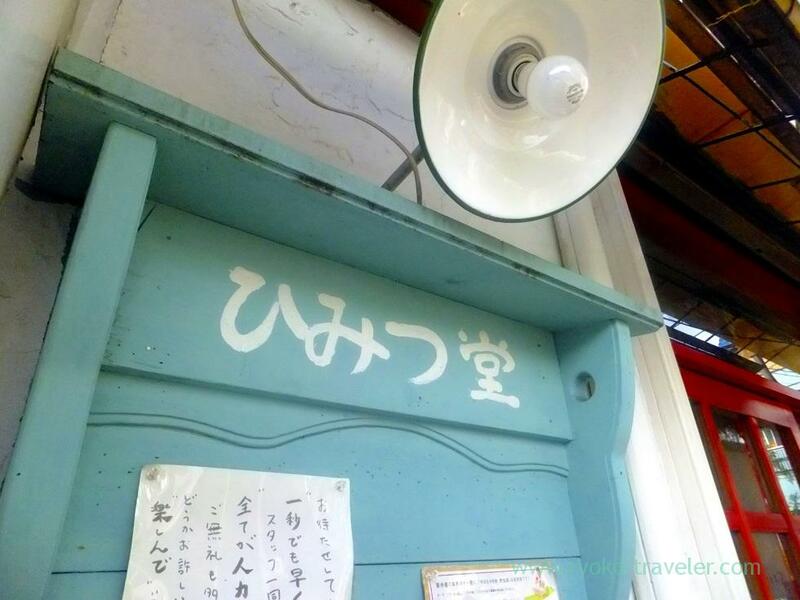 Well, it’s a cafe devoted to kakigori. 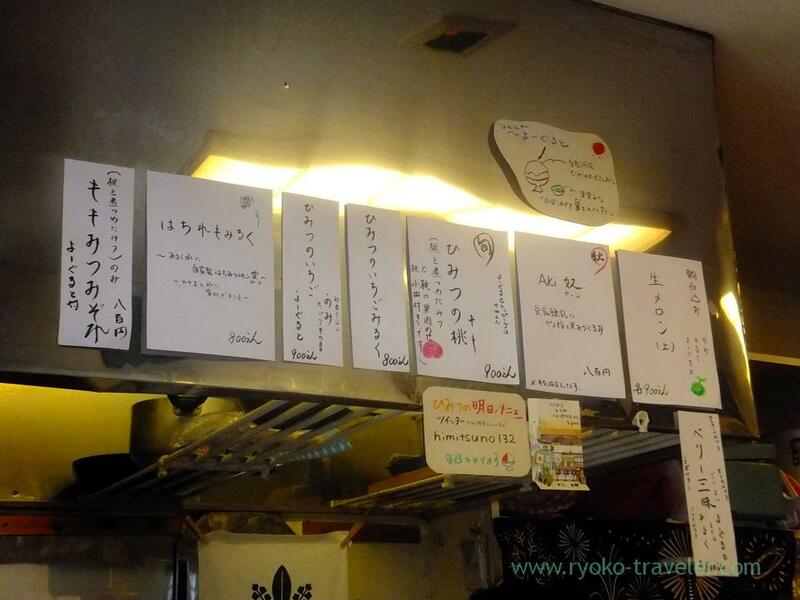 They keep warm temperature within the cafe for eating cold kakigori. Well, now, though it’s nearly end, peaches are in season. 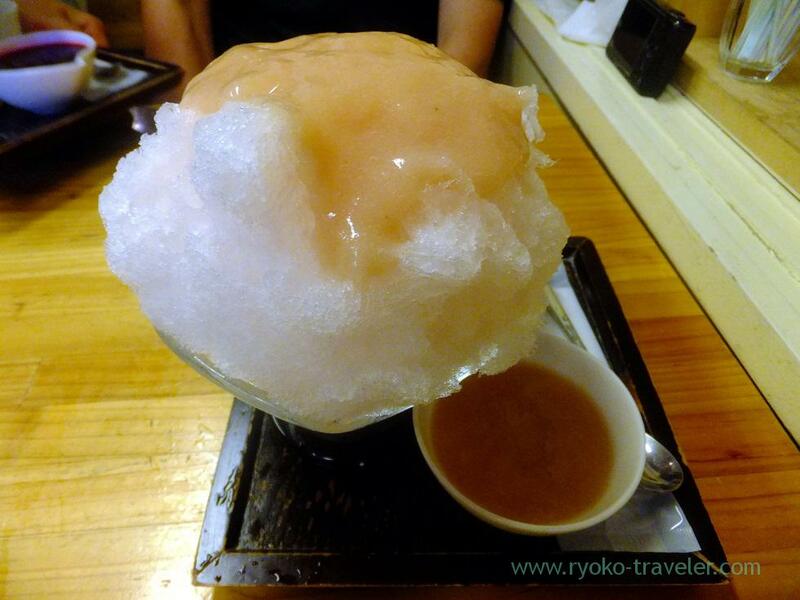 So, I couldn’t help eating kakigori with peach syrups all the same. It was more sauce than syrup. Plenty of sauce was on the shaved ice in advance. And more, additional sauce was served with kakigori. But I wan’t satisfied with the amount of the sauce. No, the amount is enough. But I took much sauce first and ran out of the sauce in the middle of eating it..
And Berry Zanmai with milk (ベリー三昧, 800 yen). Lots of berries in it. Now some shops serve kakigori even in winter. 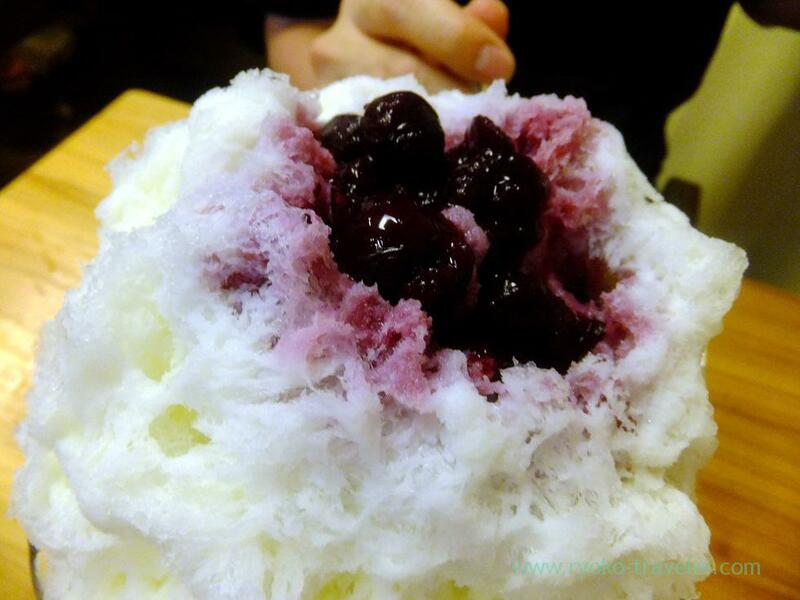 But I feel kakigori is more tasty in hot season all the same !